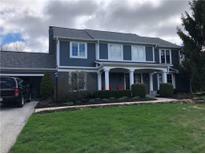 Find Zionsville, IN Homes for sale. View Photos, Maps and MLS Data Now! Large laundry and drop zone. Over $618k to build today! MLS#21630801. F.C. Tucker Company. Great outdoor space with large stamped concret patio on large lot creates a backyard oasis. Truly stunning home. MLS#21632898. F.C. Tucker Company. Colony Woods - Don't miss out on an opportunity to own this beauty. MLS#21630609. F.C. Tucker Company. Back yard playground includes pool, BIG play yard, wooded seclusion, & WONDERFUL family time! MLS#21633465. F.C. Tucker Company. Walk to Stonegate Elementary and bike path to ZWMS. MLS#21633734. Carpenter, REALTORS®. Eagles Nest - All located in the ZVille School District and close to Anson. MLS#21635048. Keller Williams Zionsville. Walkout Basement Has Large Theater Room , Bar, Wine Cellar, Billiards Room And Gym. Too Many Amenities To List. MLS#21633657. F.C. Tucker Company. Irishmans Run - Lower level features second kitchen, steam shower, multiple areas for entertaining and spacious storage area/workshop with double doors to outside-great for gardening! MLS#21633689. F.C. Tucker Company. 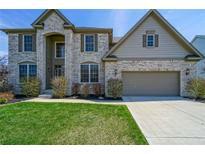 Cobblestone Lakes Of Zionsville - The fenced yard is situated in a perfect location and a huge wood deck for your relaxation. Don’t miss this one! MLS#21629071. F.C. Tucker Company. Rock Bridge - Inc Washer&Dryer. Interior freshly Painted. MLS#21631614. CENTURY 21 Scheetz. Top Down/Bottom Up Shades in living room, master bedroom and dining area. MLS#21622467. Highgarden Real Estate. Spacious two car garage with bump out and built in storage. MLS#21633217. Highgarden Real Estate. Irishmans Run - The quiet and wooded 3.57 acre lot in Zionsville's desirable Irishman’s Run is the perfect and prestigious family home! MLS#21633303. Everhart Studio, Ltd..
Sugarbush Hill - Relax in the screened in porch & enjoy the backyard oasis w/multiple deck/entertaining areas, mature trees & fire pit. This is a must see! MLS#21630838. Highgarden Real Estate. Come see it before its gone! MLS#21633513. Flat Fee Realty, LLC. Austin Oaks - Don't miss this incredible home! MLS#21632420. ERA Real Estate Links. Finished Walk-Out Lower Level features Recreation room with fireplace! Welcome to your new home! MLS#21632910. ERA Real Estate Links. 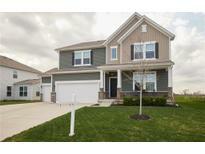 Great opportunity to get into Zionsville at an affordable price! MLS#21633190. eXp Realty, LLC. Outside, there is a lockable storage room attached to the house, two separate decks and incredible view of the surrounding countryside. MLS#21633155. The Whitaker Group, L.L.C..
House sits on front 3rd of deep wooded lot w/creek & some flood plain. RARE BEAUTY! MLS#21629283. F.C. Tucker Company. Colony Square - Xtra large garage has full size 3rd bay w/ door to backyard with firepit & pergola. HURRY OVER! ! MLS#21632257. F.C. Tucker Company. Access the Rail Trail right across the street for exercise! Zionsville schools, minutes from downtown/Village. MLS#21625592. F.C. Tucker Company. Subdivision offers clubhouse, pool, walking trails, tennis, basketball courts & playground! MLS#21632618. F.C. Tucker Company. Stonegate - Outdoor pergola overlooking pond views and large back yard. MLS#21631843. Encore Sotheby's International. These statistics are updated daily from the Metropolitan Indianapolis Board of REALTORS® Multiple Listing Service. For further analysis or to obtain statistics not shown below please call Highgarden Real Estate at (317) 679-2519 and speak with one of our real estate consultants.